Saint Paisios Velichkovsky was born in Poltava in Little Russia on December 21, 1722, and was the eleventh of twelve children. His father John was a priest, who named him Peter at his Baptism, in honor of St Peter the Metropolitan of Moscow, on whose Feast he was born. While at Kiev, Platon met two monks from Romania who were about to return to their country. After crossing the border into Moldavia, they came to Valachia and the Skete of St Nicholas, which is called Trăisteni – Râmnicu Sărat, around 1745. The Elder of the Skete, Hieroschemamonk Michael, was away on business in Ukraine, so Platon and his companions were welcomed by the Superior, Fr Demetrius. Platon was placed under a general obedience and given a cell near the Skete, from which the church was visible. As he was sleeping one night, the semantron was sounded calling the monks to Sunday Matins, but Platon did not hear it. He woke up and ran to the church, only to find that the Gospel had already been read, and the Canon was being sung. In his grief and shame, he did not enter the church, but returned to his cell and wept bitter tears. After the Liturgy, when it was time for the meal, the Superior and the Elder were surprised that Platon had not been seen at the services. The Elder ordered that the meal be delayed while he sent a Fr Athanasius to find out what had happened to Platon. Fr Athanasius found him and asked why he was weeping. With difficulty, Platon was able to tell him the cause of his sorrow. Fr Athanasius tried to console him and urged him to come to the Skete, where the others were waiting for him. Finally, he was persuaded to go. Seeing the brethren at table but not eating, Platon fell down before them weeping and asking forgiveness. The Elder and the Superior lifted him up and heard from Fr Athanasius the reason for his sorrow. The Elder told Platon not to grieve so over something that had happened involuntarily, and did his best to console him. From that time, however, the saint would not sleep lying down in bed, but sitting up on a bench. One day the Elder Onuphrius of Kyrkoul visited the Skete and spoke about his Skete at Kyrkoul. Platon long to see Kyrkoul, and so he returned there with Fr Onuphrius. He remained there for a time, conversing with Fr Onuphrius about overcoming the passions, the struggle with demons, unceasing prayer, and other soul-profiting topics. This seed fell on good ground, later bearing spiritual fruit a hundredfold. Platon went to Mount Athos in 1746, arriving at the Great Lavra on July 4, the eve of the Feast of St Athanasius of Athos. His traveling companion, Hieromonk Tryphon fell ill and died after four days. Platon would have died from the same illness, if not for the care of the Russian monks. He recovered and lived in solitude in a cell called Kaparis near the Pantokrator Monastery. He went around visiting the ascetics and solitaries, looking for a spiritual Father, but was unable to find anyone suitable. In 1750 St Basil of Poiana Mărului (April 15) visited the Holy Mountain and spent some time with Platon, who asked him for monastic tonsure. Elder Basil granted his request, giving him the name Paisios. Then Fr Basil returned to his Skete in Valachia. About three months later, a young monk named Bessarion came to the Holy Mountain from Vlachia. He went around to the monasteries searching for an instructor, but did not find one. He also came to Fr Paisios and asked him to tell him something about saving his soul. Fr Paisios sighed and told him that he himself had been looking for an instructor without success. Yet, feeling compassion for Fr Bessarion, he talked to him a little about the qualifications necessary for a true instructor, and about the Jesus Prayer. After hearing him, Fr Bessarion said, “What more do I seek?” He fell down at the feet of Fr Paisius, entreating him to be his Elder. Fr Paisios did not want to be anyone’s Elder, wishing instead to be under authority himself. Fr Bessarion remained for three days weeping until Fr Paisios agreed to accept him as a friend, and not as a disciple. For about four years they lived together fulfilling God’s commandments, cutting off their own will and obeying one another as equals. 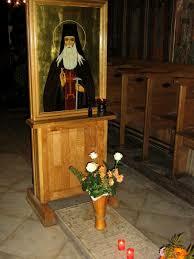 In 1754 Fr Paisios was ordained to the holy priesthood and was given the Skete of the Prophet Elias, where he began to accept even more disciples. St Paisios remained on Mt Athos for a total of seventeen years, copying Greek patristic books and translating them into Slavonic. In 1763 Fr Paisios invited by the Metropolitan Gavriil Calimachi of Iasi, went to Moldavia in Romania with sixty-four disciples, and was given the Dragomirna Monastery near the city of Suceava and on the border between Bukovina and Moldavia. Here he remained for twelve years, and the number of monks increased to three hundred and fifty. His friend Hieromonk Alexius came to visit him from Valachia, and Fr Paisios asked him to tonsure him into the Schema. Fr Alexius did so, but without changing his name. While at Dragomirna, Fr Paisios corrected the Slavonic translations of patristic books by comparing them to the Greek manuscripts he had copied on Mt Athos. The Russo-Turkish war broke out in 1768, and Moldavia and Valachia saw many battles. Dragomirna and the forests around it became filled with refugees from the villages near the battlegrounds. Another catastrophe appeared in 1771 with the outbreak of plague. 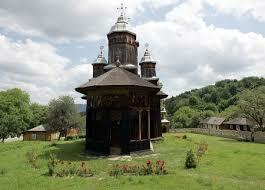 When Dragomirna and Bukovina came under the control of Austrian Catholics, St Paisios and his flock fled to Moldavia. In October of 1775, he went to Secu (“Beheading”) Monastery, which was dedicated to St John the Baptist, with 200 of his monks. Secu Monastery was too small for the number of brethren, who were crowded with three to five monks in a cell. In the spring, more brethren were due to arrive from Dragomirna, so new cells had to be built. After three years of labor one hundred cells were completed, and everyone had a place. Still, the numbers increased and they had to look for a larger monastery. Prince Constantine Moruzi wrote to the Elder saying that there was no larger monastery than Neamţ, about two hours from Secu Monastery. On August 14, 1779, St Paisios moved to Neamţ Monastery where he spent the last fifteen years of his life translating the writings of the Holy Fathers. He organized the community according to the Typikon (Rule) of Mt Athos. He gathered about a thousand monks in the monastery, instructing them in the unceasing prayer of the heart. Archbishop Ambrose visited St Paisios at Neamţ in 1790, staying for two days to converse with the Elder. During the Sunday Liturgy, he raised St Paisios to the rank of Archimandrite. He remained two more days, then departed after blessing everyone. St Paisius fell asleep in the Lord on November 15, 1794 at the age of seventy-two. It is possible that God revealed the date of his death to him beforehand, for he stopped translating books. He only reviewed and corrected what had already been translated. 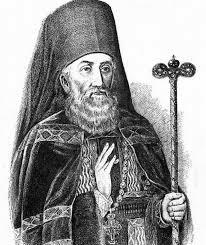 The holy relics of St Paisius were uncovered in 1846, 1853, 1861 and 1872, and were found to be incorrupt. St Paisios has had an enormous influence, not only in Romania, but throughout the Orthodox world. His disciples traveled to Russia, sparking the spiritual revival of the nineteenth century with Slavonic translations of the PHILOKALIA and the tradition of eldership which they had learned from St Paisius. This influence has been felt even in America through St Herman of Alaska (December 13). St Herman was taught by Elders whose spiritual formation was guided by St Paisius. He first met Fr Nazarius, who became his Elder at Valaam, at Sarov, then followed him to Sanaxar when St Theodore (February 19) was their igumen.